Our machine shop can handle custom machining jobs. Have your machining requirements in Boone, and the surrounding areas, met with Triplett and Coffey. Machining often involves making parts with aluminum or steel. However, each machining job is different and not every machine shop is up to your particular task. 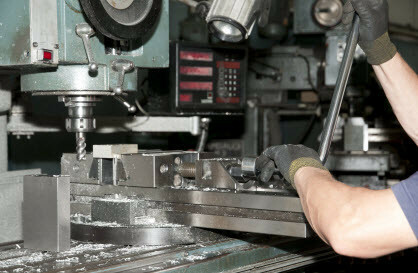 For over three decades, Triplett & Coffey has been one of the machine shops that area residents have turned to time and again on their special projects. It doesn't matter if it’s a business or an individual who needs a particular metal piece created or fixed. You have a local company to handle all of your machining needs to get you up and running quickly. Call (828) 264-1660 for machine shop info. While it's true that running a machine shop seems straightforward by providing practical products for your customers, there's also ingenuity and creativity that can go into the process. This is why it's important to research so you understand the machine shops you're considering for your next project. Triplett & Coffey with over three decades of experience welcomes you to learn more about our process and what it can mean for you. Get started by calling or e-mailing us today for more information.